A butterfly valve is a valve which can be used for through or cut off flow. The closing mechanism takes the form of a disk. 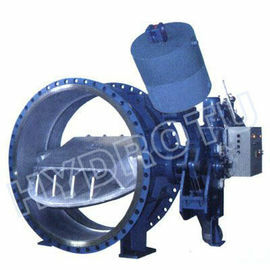 Operation is similar to that of a ball valve, which allows for quick shut off. Butterfly valves are generally favored because they are lower in cost to other valve designs as well as being lighter in weight, meaning less support is required. The disc is positioned in the center of the pipe, passing through the disc is a rod connected to an actuator on the outside of the valve. Rotating the actuator turns the disc either parallel or perpendicular to the flow. Unlike a ball valve, the disc is always present within the flow, therefore a pressure drop is always induced in the flow, regardless of valve position. 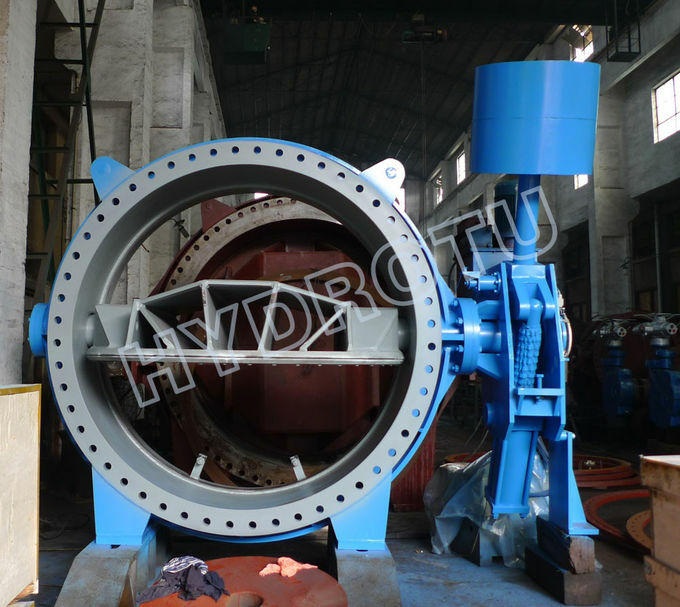 Counter weight butterfly valve is one type of butterfly valve which drived by hydraulic counter weight. 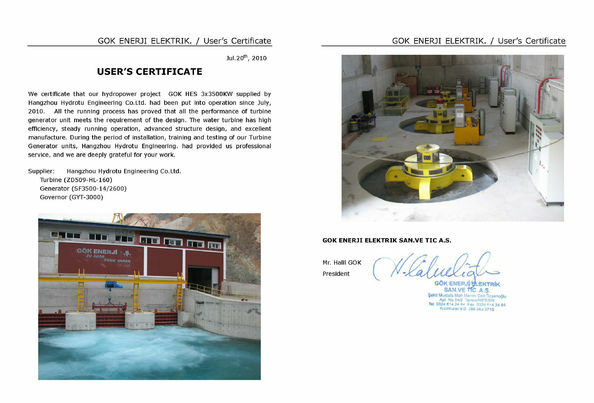 It's widely used as a inlet valve in hydropower station. This type of butterfly valve is controled by PLC, it can debug, control locally as an independent systematic unit without other additions. 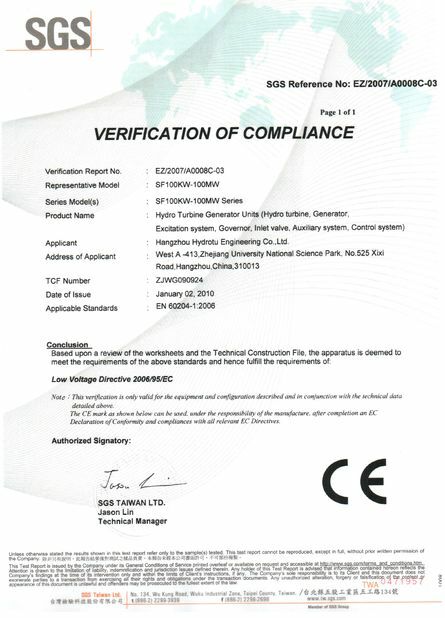 It also can be carried on centralized management by the central computer through I/O pass way as an apparatus unit of the collecting and distributing control system (DCS), realize linking and operating with water pump, hydraulic turbine, by-pass valve and other pipelines apparatus. It is furnished with manual function, and can turn on, turn off the valve manually without power, meet valve debugging, control request under the special operating mode.